Opponents of St. Paul's organized trash collection system have enough signatures to put the plan up for a public vote, but they may not get it anyway. 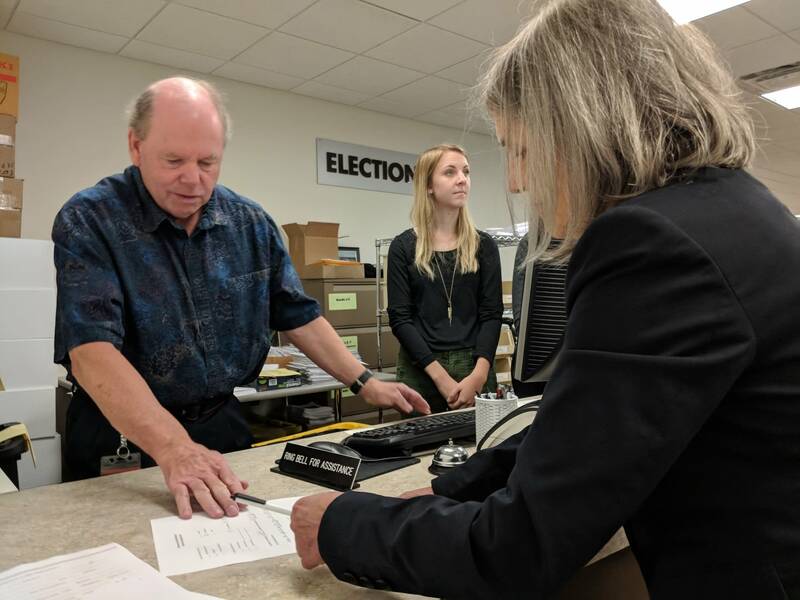 In a letter to the City Council, Ramsey County elections manager Joe Mansky said a petition handed in to his office last month had 5,071 valid signatures, more than the 4,932 required to qualify for a city referendum. That's the equivalent of 8 percent of the turnout in the last city election. Mansky said the council has a number of options, including putting the question to voters. "If the advice is that this is a question that voters can legally vote on, the council would then by resolution determine whether or not the petition was sufficient," Mansky said Wednesday. But city council president Amy Brendmoen said the council has another option: simply repeal the challenged ordinance. Brendmoen said the council plans to do just that, although the measure in question, a legal framework for the system, isn't essential to the organized trash collection system that went into effect last week. "When a petition is submitted to the council, we have an opportunity to simply agree with the petition and repeal the ordinance in question," Brendmoen said. Asked if the system would continue to operate as planned, she said "yes." The letter to the council marks the latest volley in a battle between the city and opponents of the organized trash collection system negotiated and implemented by the city's Public Works department on October 1. The system ended decades of market-based trash service that left residents to make their own arrangements. It also allowed them to opt out of service altogether, but that option was eliminated. A mandate in the new plan requiring every residence to have service rankled some who had been pooling service or taking it themselves to a disposal site. "The plan ... has a lot of problems and I think there should be some time spent to fix what are so many issues that are causing people a lot of grief," said Patricia Hartmann, an attorney and opponent of the current plan who led the petition drive. "I don't have a blanket opposition to any kind of organized collection. It's just that this plan seems to have too many problems." The petition submitted last month does not address the core legislation that enables organized collection, but instead addresses the licensing infrastructure for the program. Hartmann said she and other opponents have been collecting signatures to challenge the core of the ordinance as well. The deadline for that petition comes later this month and could wind up representing a more significant challenge to the new system. It isn't clear how or if the city's new trash collection system would operate if the full challenge to the plan succeeds and winds up on the ballot, along with the City Council elections next year. City public works officials say they'll wait and see how the challenges play out.